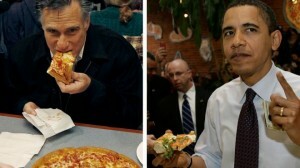 Pizza Hut’s Presidential Debate Marketing Ploy – Good Idea or Bad Publicity? As you’ve probably heard, Pizza Hut recently offered a prize — a pizza a week for 30 years or a check for $15,600 — to anyone who posed the question, “Sausage or Pepperoni?” to either presidential candidate during the upcoming live Town Hall-style debate. Following a media backlash, the company retracted the contest and moved the promotion online, where a contestant will be randomly selected to win free pizza for life. This raises an interesting question that marketers will likely be debating all week: Was this a horrible PR blunder, or a unique headline-grabbing ploy? Pizza Hut is a subsidiary of Yum! Brands, Inc., the world’s largest restaurant company. As of 2012, there were more than 6,000 Pizza Hut restaurants in the United States, and more than 5,139 store locations in 94 other countries and territories around the world. In other words, it’s fairly likely that everyone knows about Pizza Hut. It’s reasonable to assume that Pizza Hut is not in a position where they need to increase brand awareness. Anyone who wants to order pizza knows who they are. It’s also reasonable to assume that this “blunder,” seen by many as a mockery of our country’s debate process, is not very likely to cause them to lose any customers. Anyone who orders from Pizza Hut will probably keep doing so, regardless of this issue. So what was the purpose, and what was gained? If that is the cause, the promotion resulted in sales for the company, and therefore, achieved success regardless of the media backlash. What are your thoughts? Let me know in a comment, or email me your opinion.